Various tracks may be used at a given time. These include several tracks that are arranged to work at the same time. There are no real limits as to how many of these tracks are to be used at a given time. A strong beat can be used in an electronic song as a means of creating a dance-like atmosphere. This is not always required for all electronic songs but it is typically used to create a lively feel to it. This does not necessarily use lyrics or vocals for the most part although those who do use vocals tend to use plenty of sampling. This includes working with repetition in some cases to make certain sounds a little more intense and powerful in terms of how they work. There are many iconic songs in the world of electronic music that have been very influential to many in the music world. 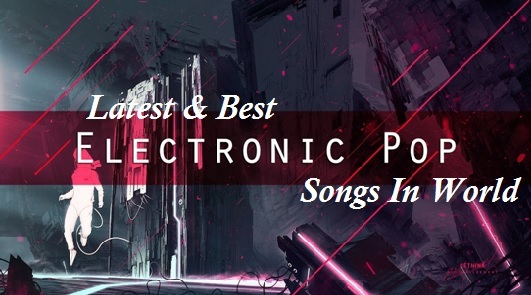 Here is a look at some of the more prominent electronic songs ever made. Justice made this as their debut single as a beautiful single with a kick drum and bass emphasis. The fast tempo of the song makes for a great sound that is intense and perfects how electronic music is to sound. The strong use of distortion in this song especially makes for a powerful style. This song from Underworld mixes in the powerful sounds of dance music with sampling to create a beautiful tune. It samples a beat from a Donna Summer song and orchestrates it into a new beat that mixes in electronic piano and percussion beats too. It makes for something that has become very popular at many dance clubs. One of Moby’s first big club hits, this electronic song shows how emotional the genre of music can truly be when organized right. It mixes in a strong beat with samples from the Twin Peaks soundtrack to create a sound that establishes a beautiful beat while being easy to dance to just as well. While the art of dubstep has been a part of electronic music since near its beginning, it was not until Skrillex came along to get this evolution of electronic music to advance. This track shows the powerful kick drum and synthesizer effects that make this part of music so outstanding. The intense and rough rounds show that electronic sounds can be as loud as they are distinctive. Marshall Jefferson made this song as a great tune that combines a mix of beats with infectious vocals. This song shows that vocals can play a role in electronic music and when used right can add an outstanding tone to any track. This especially places a focus on how repeated vocals are critical to making a song stand out properly. In the span of fourteen minutes, the Paperclip People managed to make a great electronic song. It includes perfectly timed keyboards and synth strings adds to a strong beat that is very infectious. It especially rewards the listener with a strong vocal climax as it is incorporated into the song. This song from Inner City can be seen as the moment when electronic music really went into the pop mainstream. This song focuses on how well a great synth sound works. It especially works with a mix of R&B vocals that add a texture to the song. Second Phase made this song as one that shows off a great synth sound that sounds like a great vacuum of noise that is consistent and swirls around the room. This is often used to grab the listener’s attention. It certainly worked on this song thanks to its impressive and gripping style. This next song uses a great synthesized vocal sample designed by Cybotron. This group made the synth vocals to create a great tone that adds to how well this style of music can be organized. The most important part of the song is that the vocal parts do add to the great electronic sound of the song. The sound that Orbital introduced in this classic song focuses on the drum machine. It includes a carefully timed setting that brings out a fast percussive beat while offering a strong tune all the way around. This creates a smooth and fun song that has become a great dance hit over the years.